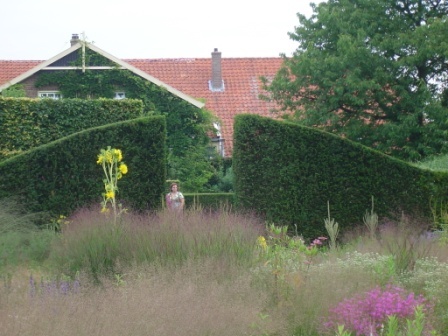 Piet Oudolf. When you see that name, what comes to mind? 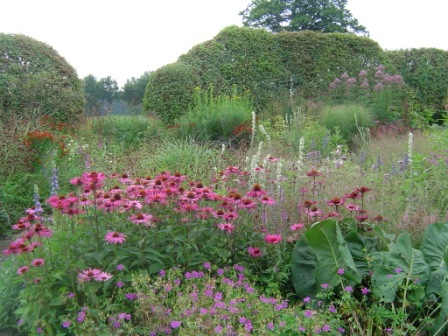 Chances are you think of the High-Line, NYC or Lurie Gardens in Chicago. Am I right? 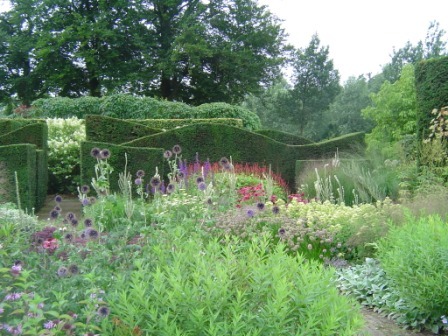 Those gardens placed him right into the American consciousness but Piet is SO much more than that. I know because I discovered him about twenty years ago. That’s long before most of you had heard of him, yes? 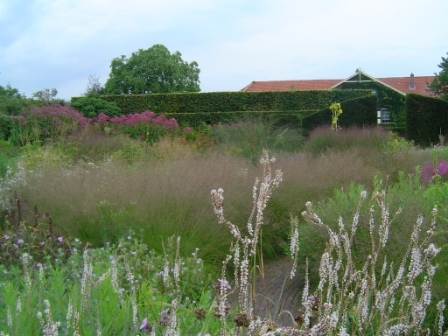 I first came across the classic Oudolf mark of naturalistic plantings that were all about movement and atmosphere in a garden magazine from the UK. Something about that article got me in a way I couldn’t quite explain. All I recognized was my own discovery that this style spoke directly to my gardening soul. So I researched the man. It wasn’t easy – Google was not as yet so amazing ( it was in its infancy ). 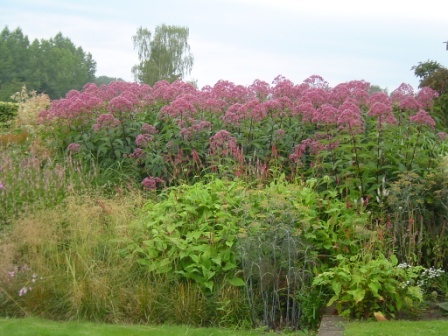 And Piet was mostly working in the Netherlands and in the UK. But, persistence ( okay, my obsession ) pays off and I got to learn more about the designer. 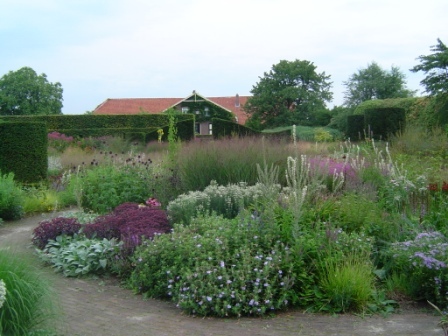 Then, in 2008, on a trip to the Netherlands, I decided I simply had to meet Piet and see his own garden in Hummelo. And I did. A high point in my gardening life. Piet and his wife Anja were warm and friendly. 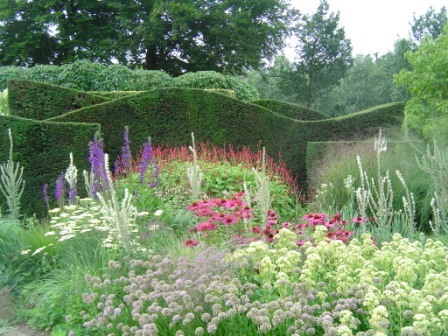 Their garden and nursery more than lived up to my expectations. 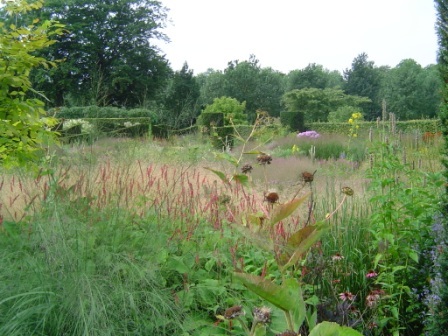 Much of what we have come to see as typical Oudolf plant choices are not only American natives but they are also hardworking and quite affordable. 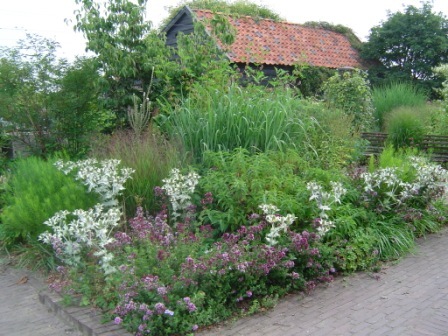 Piet’s genius is in how he uses them – the combinations and placements play up the best features of the plants. 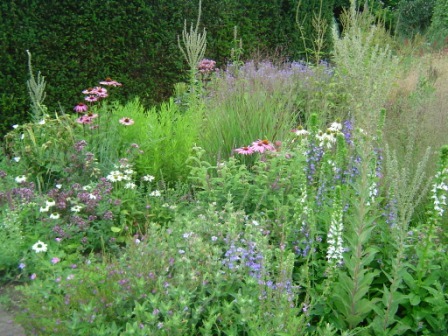 At that time, I was myself beginning to move towards mostly native plantings so, seeing how absolutely gorgeous this garden looked cemented my decision to go native. I’m not a purist about it. Non-natives are welcome as long as they are not invasive and are present in much smaller numbers as compared to the indigenous ones. That precious and delicate balance of native flora and fauna is critical to the health of the environment. At that meeting, Piet mentioned that he was just starting on a new new project in Manhattan. 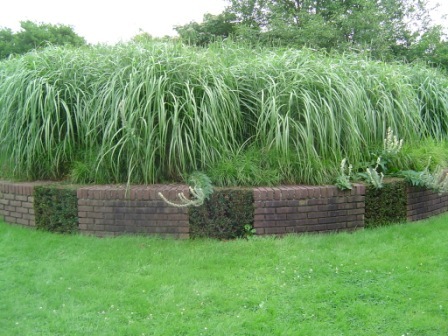 Who knew this would prove to be the High-Line! 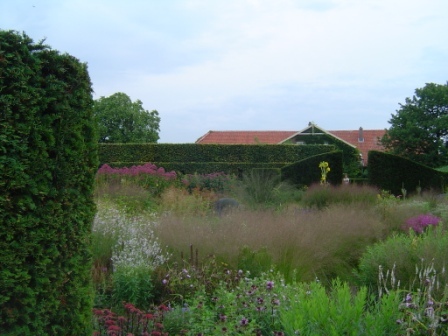 Piet Oudolf’s reputation has deservedly grown exponentially and he is perhaps the most influential garden designer in 25 years. 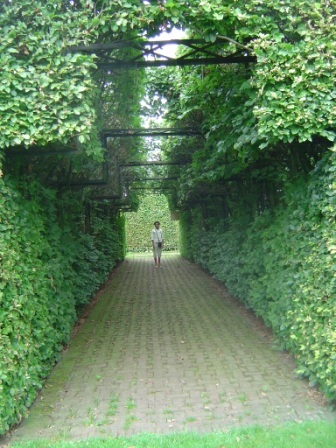 His projects in public spaces all over the United States and Europe are now landmarks. 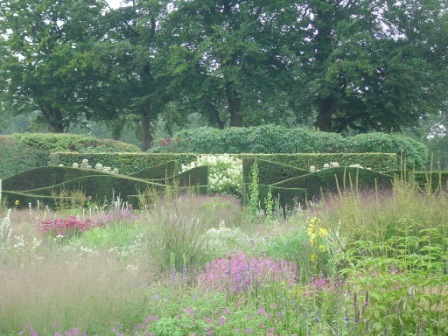 Even his drawings of garden designs are works of art – so much so that a couple of years ago, a Hauser and Wirth exhibit in England, showcased some of them. 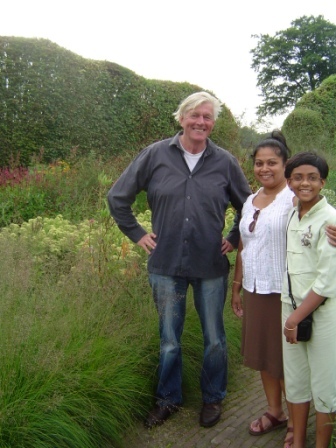 If you are not as yet familiar with this exceptional garden designer, please make it a point of visiting the gardens created by him. They are inspiring and instructive and look good through all the seasons. So, it’s informative to visit several times through the year. 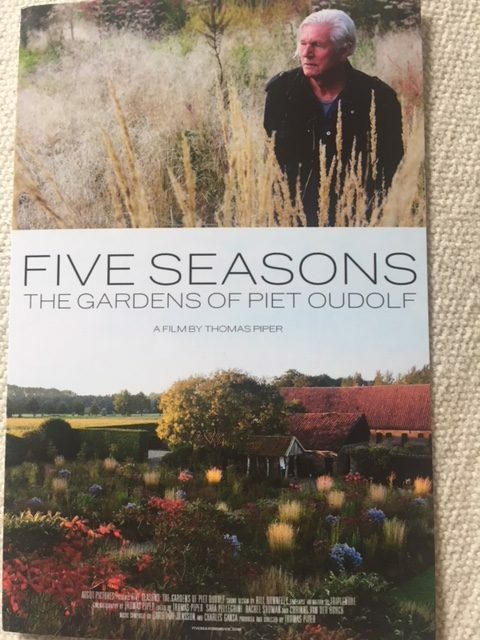 Speaking of seasons, there is a documentary film on Piet Oudolf “Five Seasons – The Gardens Of Piet Oudolf”. I saw it this past Sunday and enjoyed it immensely. You will have to search out a theater that is showing it. I had to go to a screening two hours away! It was worth it. 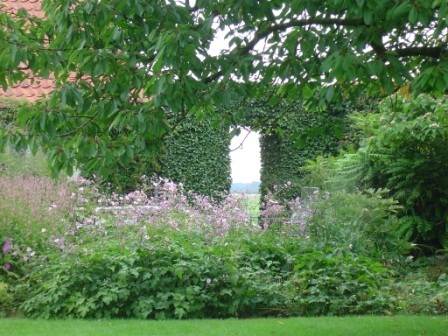 For this devout gardener, it was akin to a pilgrimage to get a glimpse of one of the gods of the gardening world. 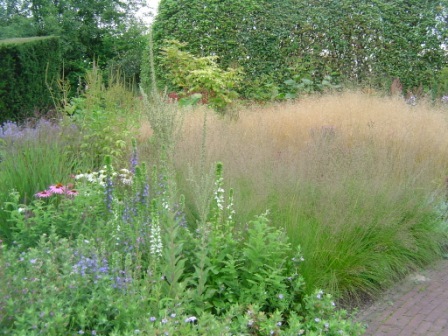 I am now recharged, resolved and ready to implement more Oudolf ideas into my garden. 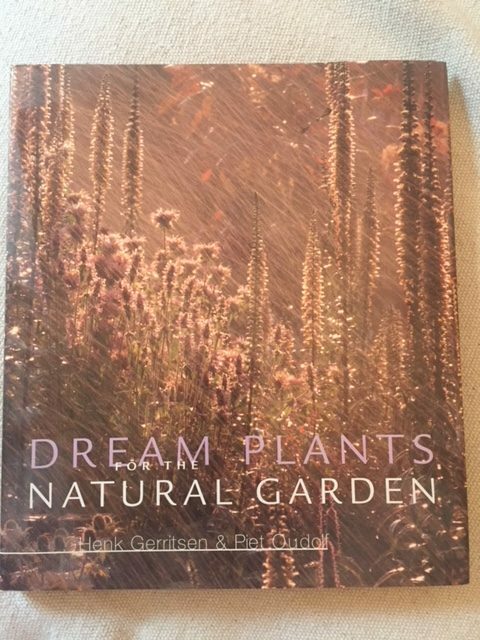 This entry was posted in Deep thoughts, Move It, The Garden Demystified, Your Garden and the Globe and tagged autumn, beauty, color, design, documentary, environment, film, flowers, garden, garden_tips, landscape, lessons, nature, piet oudolf, plants, season, spring, summer, winter by pgbundil. Bookmark the permalink.